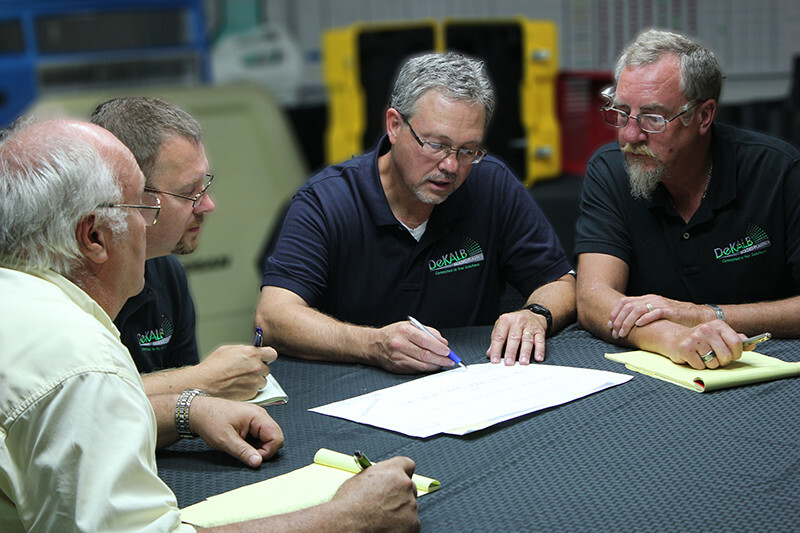 Our top priority is to enable you to be successful and will help you optimize your design in order to make that possible, DeKALB’s plastic processing expertise will ensure your design will result in a successful product application. We work with your team to develop a solution that maximizes the potential of your product, ensuring a design is optimized for performance. Our plastic processing expertise will ensure your design will result in a successful product application and product launch. DeKALB recognizes that one of the numerous benefits of plastic is the ability to incorporate many features into one part, eliminating a high part count. We always review plastic product designs for areas to incorporate functional enhancements and save on cost. Specializing in structural foam molding, DeKALB recognizes the need to minimize tooling and part cost while protecting the parts’ functional needs. We will help you balance productivity, cost, and function. While fiberglass parts may serve well as prototypes, structural foam has many advantages: shorter cycle times than RTM or hand layup and greater consistency of mounting points, just to name a few. Structural foam also provides a better fit to mating components and prevents catalysts from ìbloomingî out of the part and VOC production issues. Although sheet metal has historically been an alternative to plastics, there are several areas where plastics can perform equally as well and at a lower price point. Multiple part integration is just one example of the robust solutions available with plastics. Structural plastic parts can also be recycled at the plant of origin, proving it to be a superior process for producing your part.